Who is Joshua Passmore? Joshua Passmore is a Physical Therapist who has a passion for helping people return to their desired level of activity & improving their quality of life. Josh is a very active individual who enjoys recreational resistance training, surfing, running, offroad bicycling, hiking, basketball, fishing, and snowboarding. 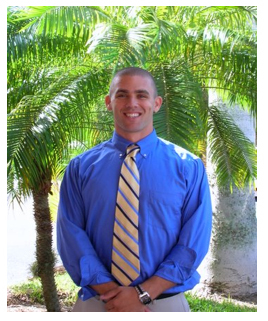 His knowledge of physical therapy speaks from personal and professional experience. How he ended up a Physical Therapist…While in school at Montana State University studying Biomechanics, Josh was a teacher for several weight training classes. His students would always be asking questions regarding their goals related to fitness, sport, and injury. He enjoyed helping his students achieve their goals. It was rewarding and during this experience, Josh knew his future would be in Physical Therapy. Why is Joshua Passmore the right Physical Therapist for me? His background of exercise science, personal training, and an additional masters degree with an emphasis in Biomechanics allows him to provide his clients with a superior level of care. Josh is consistently studying the most current research in his area of practice in order to provide his clients with the most effective evidence-based interventions. Josh believes in approaching each client as a unique individual case. No two cases are exactly alike and no two cases should receive the exact same interventions/program. From a physical therapy approach, Josh believes and treats his clients with a hands on approach. He first looks to correct joint misalignments and improve joint articulations in conjunction with improving soft tissue restrcitions. This is then followed with specific prescribed exercises and dosages. Overall, Josh aims to help you achieve your highest desired level of function & performance. The information is intended for informational and educational purposes only and in no way should be taken to be the provision or practice of physical therapy, medical, or professional healthcare advice or services. The information should not be considered complete or exhaustive and should not be used for diagnostic or treatment purposes without first consulting with your physical therapist, occupational therapist, physician or other healthcare provider. The owners of this website accept no responsibility for the misuse of information contained within this website. Designed by www.ggandm.com Powered by WordPress.